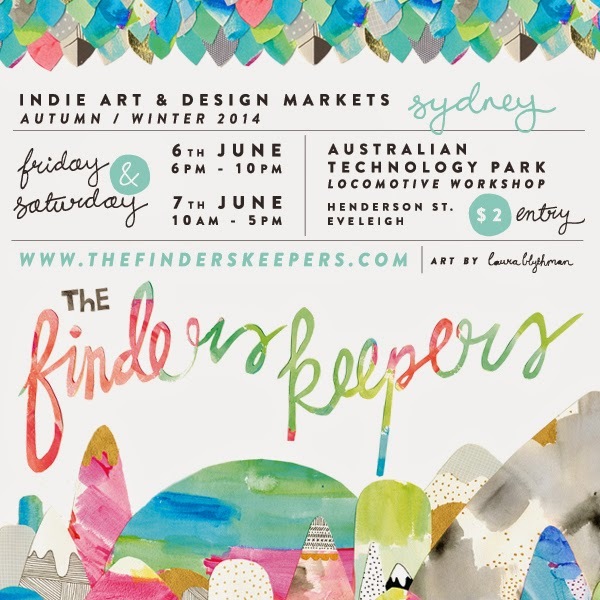 Our thanks go out to the Finders Keepers team for having us as part of the Sydney Market last weekend. As always it was a fabulous, fun event, with loads of tempting goodies created by very talented people, to see and buy. It was great to see many familiar faces over the weekend, thank you for swinging by to say hello and spend some time with us. We'd also like to say a thank you to all who took home a little piece of Sweets Workshop with them, we hope you enjoy what we have made. 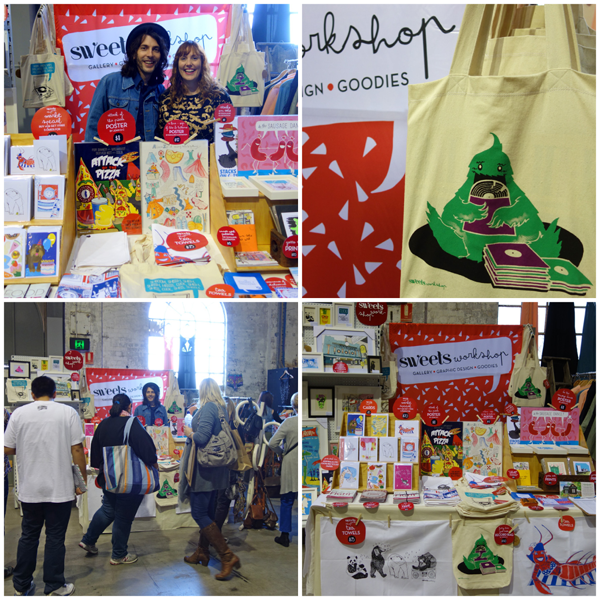 Head over to our Facebook page to check out some more pics of our weekend at the Sydney Finders Keepers Market. This Friday and Saturday Sweets Workshop will be closed as we are packing up and moving in to the Finders Keepers Markets. We will be launching some of our new illustration works and groovy record bags exclusively for the Sydney Market. The market will be open at 6pm on Friday 6th of June and close at 5pm Saturday 7th June at the Australian Technology Park. There will be loads of talented designers, musicians and delicious treats to keep you busy and entertained over the long weekend.